Winter in Castellano is the perfect season to stay together and chat in front of the fireplace, read a good book or enjoy sausages, grilled bruschetta and roasted chestnuts. 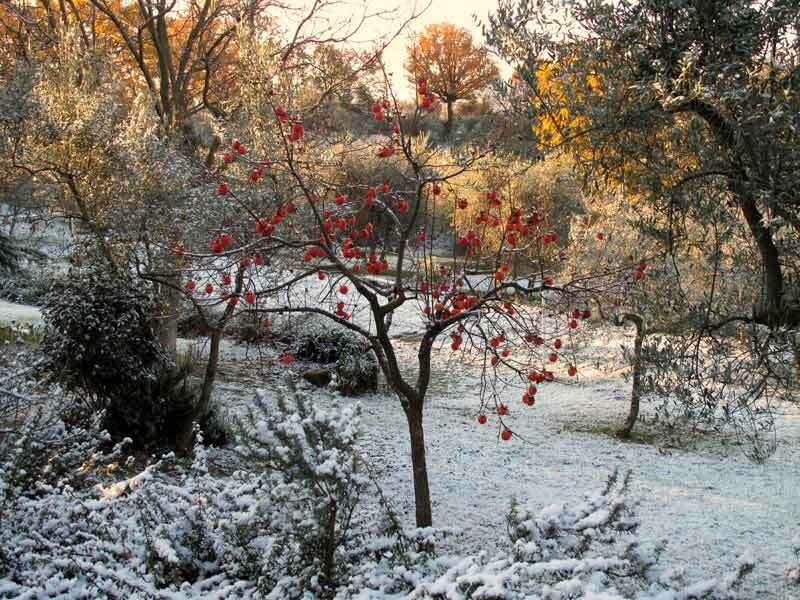 The garden gives us delicious persimmons, walnuts and beautiful holly branches to decorate the house for Christmas. Some years the landscape becomes even more impressive when the snow covers the garden and the valley.